CenturyLink has secured authority to operate from the General Services Administration to offer information technology platforms and services to federal agencies under a 10-year, $50 billion governmentwide acquisition contract. David Young, senior vice president for strategic government at CenturyLink and a 2018 Wash100 recipient, said in a statement released Monday the ATO offers the company an opportunity to help agencies advance IT modernization efforts by delivering IT and managed services via Alliant 2 GWAC. 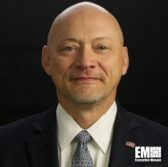 Young added that the company provides IT services through other contract vehicles such as GSA’s Enterprise Infrastructure Solutions, IT Schedule 70, Connections II, Networx Universal and Enterprise and Washington Interagency Telecommunications System 3. GSA selected 61 companies on the unrestricted portion of Alliant 2 that has a five-year base period that runs through June 30, 2023 and five option years that could extend work until June 30, 2028. CenturyLink seeks to provide customers access to its portfolio of cybersecurity, artificial intelligence, digital forensic, big data analytics, smart sensors, virtual networking and cloud computing services through the contract.